Hello and welcome back! Today we have a fun post to share because we're not only featuring card making with My Favorite Things products, we're also showing some ways that we use the Misti to create our stamped cards. So I wanted to stamp the beaker in two rows of three to make it look like they were sitting on a shelf. I went with six, so I could create a rainbow of colours on all of them, including the one the girl is holding. Stamping them perfectly lined up is really easy with the Misti. Once you get the stamp positioned onto the Misti door, you just need to move the panel in the same increments each time you stamp it. I stamped the top row first and simply moved my panel along the edge of the panel to stamp them continuously in a row. I then shifted the panel over to the right, and then I stamped the beakers exactly as I did in the first row, except this time I had the panel moved over, so they created a row underneath. So quick and easy once you decide where you want the stamping to be, and everything is lined up perfectly. Once I had them all stamped, I added a line under them with a black marker, stamped the girl and then coloured everything in with Copic markers. I stamped the sentiment using my Misti as well and then added the finished panel to a Blu Raspberry card base. 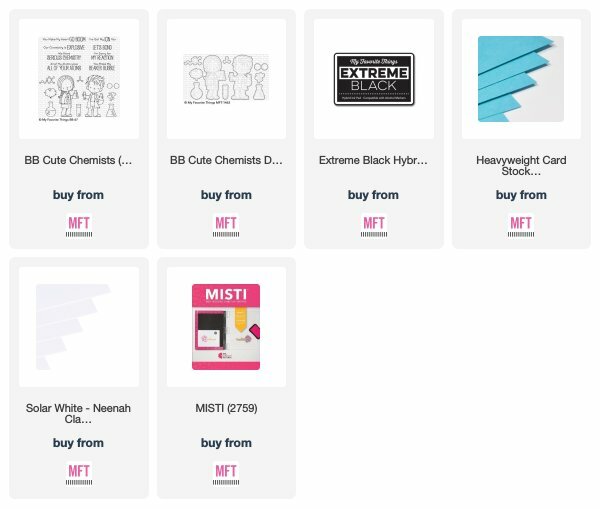 Make sure to head over to the MFT blog for more ideas using MFT products with the Misti and for a chance to win some fun giveaways! Hello Stephanie, I love the rainbow colors you used and you are so right to use the Misti to get perfect alignment every time. Your card is awesome. I love my Misti and I love My Favorite Things Stamps. They are my favorites indeed. Such a cute set! I would not have thought about using the Misti like this! I definitely need one! Stephanie this is wonderful! I love the rainbow of beakers, what a fantastic idea! Very clever of you, indeed! Great card, the colors are amazing and the stamp is so cute! Such a great card, love that set. Adorable and colorful...the makings of a perfect card! Thanks for sharing! Oh so sweet!! Love the rainbow of beakers! Cute card and colors. Awesome images. I love the misti too. So helpful. So cute! Love the rainbow colors!! This is soooo cute! I love the rainbow beakers! Great idea! Cute card. Love all your rainbow colors. Super sweet and happy card! Love the layout and fabulous colors. 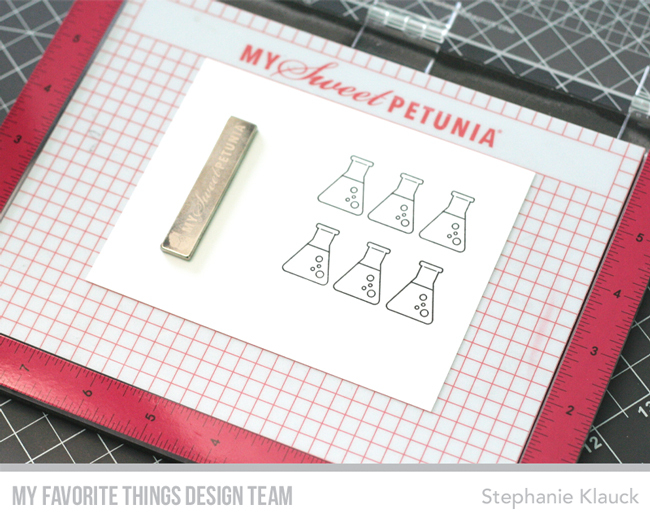 I love that girl scientist stamp. 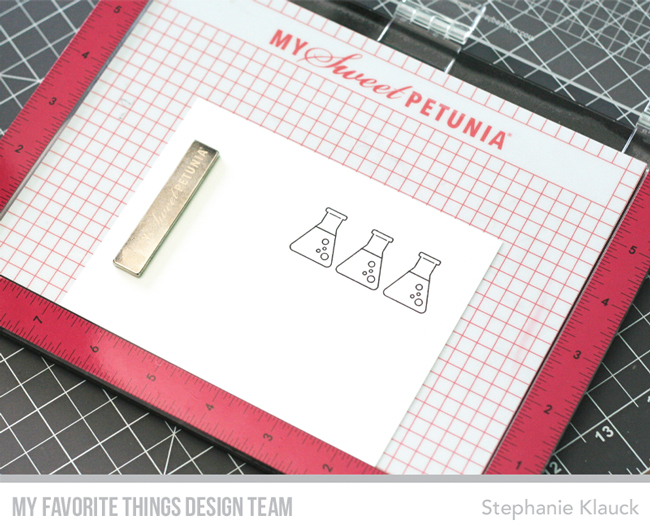 Love your card...neat idea to stamp beaker several time, great design and colors. A truly great card- love all the colors! Love my Misti- use it every time I stamp, can't imagine not using it! It has truly changed the way I stamp! I love rainbow colors and this is my kind of card. Very beautiful!! Love it!! Love the lab you created for this female scientist! How adorable. I love science themed cards. Really! 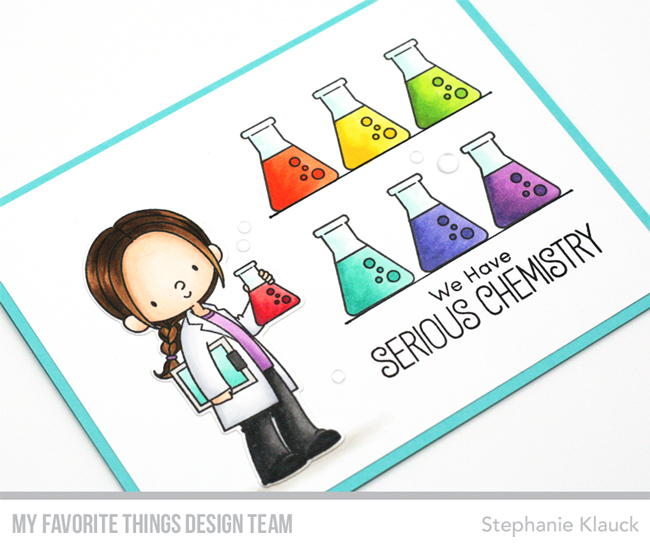 This is a beautiful card and the rainbow beakers are a great idea! So cute. 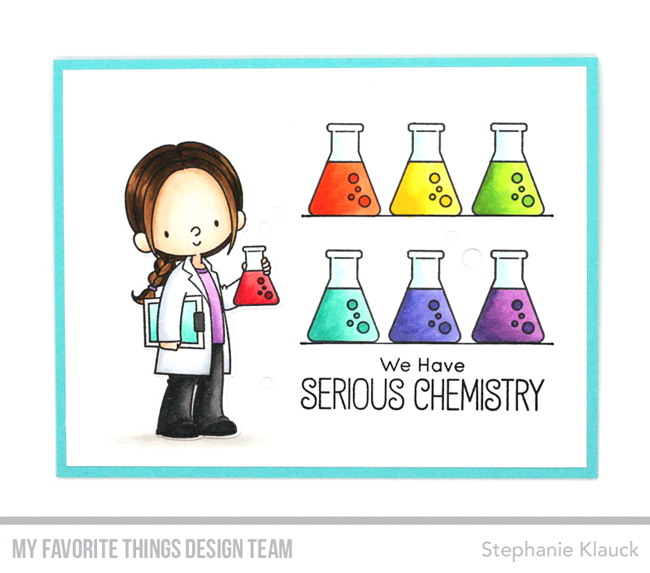 Love the colorful beakers.